« Will the Governors Actions Prevent Future Medical Injuries and Fatalities? 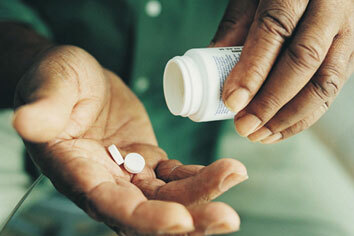 Medication errors can lead to serious injuries and fatalities. If you, or a loved one, are taking any prescription medications then it is important to understand how medication errors happen and to do what you can to prevent them. A doctor may prescribe the wrong medication, or the wrong dose of medication. A pharmacist may misinterpret the doctor’s prescription and dispense the wrong medication, or the wrong dose of medication. A pharmacist may make a mistake and give the wrong medication, or the wrong dose of medication, to the wrong patient. The best way to protect yourself from the potentially serious side effects of a prescription drug error is to ask questions. Ask your doctor what the doctor is prescribing, why it is being prescribed, how it is expected to help you, how it will interact with your other medications, and what side effects you need to know about. Ask your pharmacist to tell you what medication he or she is handing to you and the dose that you should take. Make sure that it is the same as what your doctor told you. Also ask your pharmacist how to take the medication and about potential side effects. Both your doctor and your pharmacist have a responsibility to use reasonable care when prescribing and dispensing medication. If you have been hurt by a medication error then you should contact a Pennsylvania medical malpractice lawyer for more information about your potential rights to a legal recovery. How Does Your Doctor Write Prescriptions?